Sign up to receive inspiration and tips for living your most vibrant life! 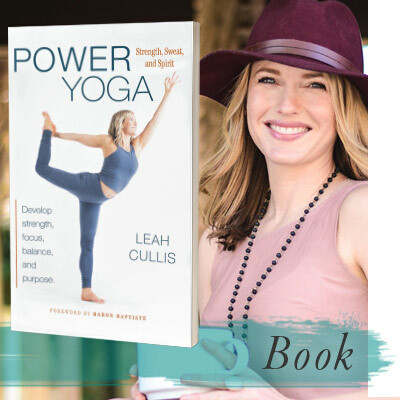 Power Yoga: Strength, Sweat, and Spirit is available NOW! Learn the poses, practices, and philosophy of this fitness and focus-boosting training method to strengthen your body and awaken your spirit. Are you a yoga teacher looking to make a bigger impact? Mentorship will empower you to be more effective and heart-centered in your teaching and leading. Work with Leah to elevate your offerings and do more of what you love. 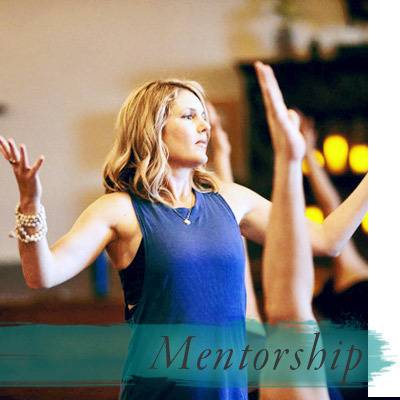 Immerse yourself in a transformational yoga experience designed to align you with your purpose and ignite your power! 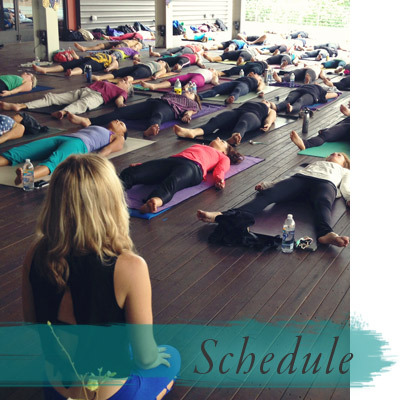 Join Leah for trainings, classes, workshops, and retreats. After years of allowing my work to consume most of my time, my body was calling out for my attention through a series of breakdowns. I prioritized my practices of mindfulness, yoga, healthy eating, and healing my body and relationships. My mission is to help people integrate the practices and principles of yoga and wellness into their daily lives for more power, ease and joy. My daily rituals of yoga and health help me to stay grounded in gratitude, the present moment and my inner wisdom. I’m grateful for the opportunities to live, teach and practice, and I look forward to working with you. My yoga practice has taught me how to bring things together; how to unite my body and breath, my mind with my intentions, and my actions with purpose. Are you a teacher looking to dig deeper in your studies, clarify your offerings, and make a bigger impact? Do you know that teaching is your calling, and feel like you could benefit from the guidance and mentorship of a seasoned teacher? Are you ready to step into your full power and purpose? Please join me and a committed group of fellow leaders in this teachers circle and group mentorship program. 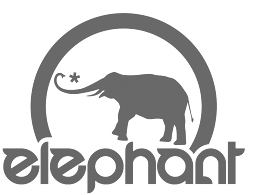 Sign up to recieve updates and information about events and opportunities to practice with purpose.